There are a collection of science fiction films that stick with me over time, no matter how old they are. The one I wish they would consider a remake, is MILLENNIUM. Storyline : Millennium is a 1989 science fiction film where Time Travellers abduct the passengers and crew of FLIGHT 35, because in the future, there’s so much pollution, the population are sterile and sick. It means the human race is dying ; therefore they kidnap people from the past who were supposed to die in the first place. Flight 35 experienced computer malfunction* and destine to touch wings with another aircraft. Due to this encounter, the other craft recovered, while FLIGHT 35 was destined to crash, killing all aboard. The Time Traveller Agents would alter the time-line, boarding FLIGHT 35. They would they replace the “Live Passengers” with cadavers, who had previously died from poor health in their “future timeline”. However, FLIGHT 35 miraculous survived the encounter, automatically landing in one piece. With emergency crew on hand, opened the hatch. To the investigator on-board, he found the whole crew dead. Not only that, the bodies were burned beyond recognition. Unknown to the investigators, the Time Travellers burnt the cadavers, to simulate what they would look like after the crash. Each timeline visit would cause catastrophic damage, referred to as a “timequake”. Therefore the Time Travellers would only abduct people that wont effect the future. I’ll stop here because it wouldn’t be fair to tell you the whole story. Be great if Disney Studios would plan a remake of MILLENNIUM. Screenwriters (like me) can change the storyline to suit today’s relevant technology. We can also mix up the subplots to keep the viewers guessing the outcome. * Makes you think of the recent plane crashed due to on-board computer hardware. PS : Hope you enjoy my art piece I created above. You can see more of my art on INSTAGRAM – join me ! Or, if you’re a TWITTER fan, see you there too. 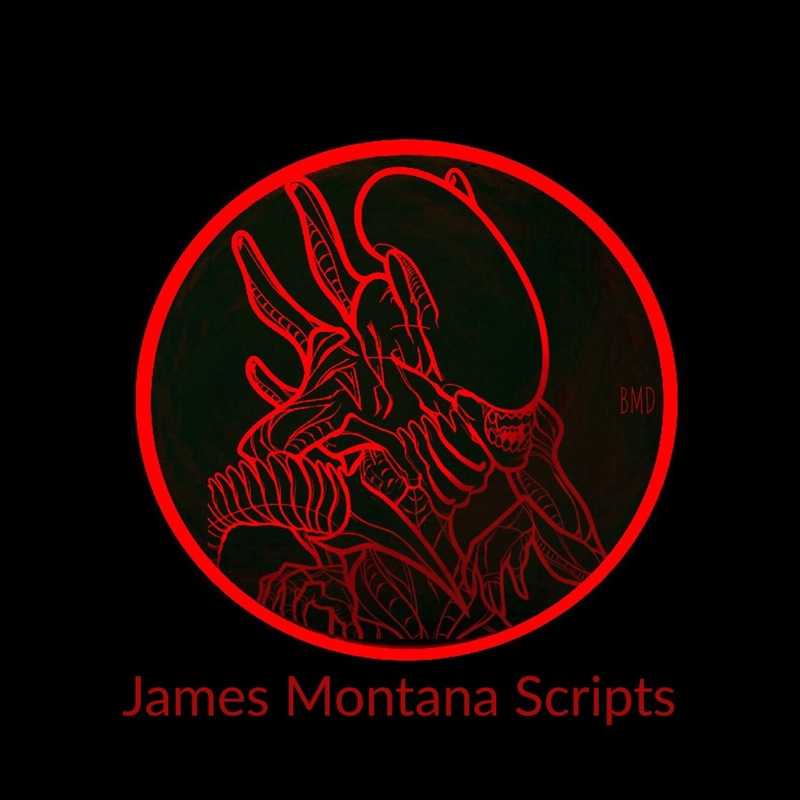 About Bari : I produce Spec Scripts for Directors, Agents and Production companies. Galactic Space Travel – is it really possible? My seven year journey is indeed a long rewarding experience, even though it’s from behind my desk, in the comfort of my home. “I envision a story and bring it to life”. My storyline takes us back over 150,000 years ago (maybe more), before mankind ever had a foothold on earth. By evolution standards, we were nothing more than another form of Ape-man referred to as Denisovans. I’m sure by now you’ve heard of Lucy ? Lucy’s species, Australopithecus afarensis, is approximately 3 million years old and categorize as an earlier form of “genus Homo”. The evolutionary Ape-man ( or in this case, Ape-woman) took on various stages, but each step wasn’t anything miraculous, until a drastic change between 100,000 – 150,0000 years ago. During my lifetime, I’ve written numerous screenplays and short stories, but BLACK ANGELS is considered my favorite. BLACK ANGELS is a science-fiction horror genre asking the age old question, ” Who are we and where did we come from?” It’s not only a story of desperation, survival and betrayal, the storyline leads you to the very core of our existence. I began my journey soul-searching, earnest to understand why we are, who we are today. It’s not hard to see what’s going on in our world, you begin to wonder,” What makes homo-sapiens such a savage species?” The bloodshed over religion, money and power is relentless. Millions have been persecuted, with today’s conflicts becoming increasingly disturbing. Time and time again, it’s a power struggle of simple greed and vanity. On top of it all, our evolutionary brain isn’t working with all its thruster’s. Like our beloved Scotty of Star Trek, (James Doohan born in Vancouver, B.C. ), would say,” Aye Aye Captain…I’m given her all she’s got…she’s got no more!” It’s hard to conceive, but even though we may use 100 percent of our brain, it’s extremely strange how most of us are not considered geniuses. That’s just doesn’t seem right. How come a select few are geniuses? I mean we are suppose to be at the top of evolutionary chain. That’s million of years. My God! Something is totally wrong with this picture. It’s as if someone placed a “governing device” in our brain, so we can’t have full access. Maybe it’s my science-fiction mind taking over… or is it? And that’s where I began my journey, finding answers to puzzling questions. I’m sure Professor Steven Hawking would have an equation, answering the complex origin of mankind. Twenty years ago I began writing my thoughts of how religion controls the masses vs an Intelligent humanoid species who came to earth 100 – 300,000 yrs ago, changing ape-mans DNA. This has followed me ever since I began questioning the roots of man-made religion, when I was 10 years old. It was only when I was 30, where my thoughts appeared on paper. LOGLINE : Drug addict war hero seeks revenge for brother’s death, risking his crew in mining expedition on planet ALPHA XL-420 for priceless Red Crystal, essential to saving their species from deadly virus. BLACK ANGELS is my take on an Alien Intelligent Species coming to earth in haste, to save their species from a deadly virus. To use, control & further their DNA; in fact, the Sirian species crossed their DNA with Ape-man. However, because the Sirian Species altered the evolutionary timeline of Ape-man, human beings today have serious emotional side-effects, such as anger, hate and so on… but that’s another story. ‘BLACK ANGELS’ is only the beginning, as I explore the possibilities, not just from our “Past Ancestors”, but as well as the “Present” and “Future”. With adjoining science-fiction stories, I have explored many avenues, such as Alien Abduction Report – Earth Missions 2013. Getting back to “New Eden”, Season 2 – Episode 2 on Star Trek Discovery, I thought it was interesting #StarTrekDiscovery writers explored “New Eden” using the “Red Angels”, while my story is related to “Black Angels”. Don’t get me wrong, I’m NOT implying they’re stealing my storyline. It’s just coincidence, simply because we’re all thinking about how religion came about vs the science. As science-fiction writers, we speculate & explore all possibilities. In Episode 2 ‘New Eden’ I would like to think, is a continuation from my screenplay ‘Black Angels’ in a future setting. It’s goes in correlation with my theory on our founding ancestors, who started the genetic process of mankind. IF you’ve watched Episode 2, ‘New Eden’ it explores the mysterious ‘Red Angel’ removing a group of humans off earth during WWIII, placing them in a new world, light years from earth, where Captain Pike & crew happens to find them by a beacon. It’s illogical to assume humans had warp capability until “First Contact”*, therefore there must of been some sort of intervention from an intelligent alien race. As said, in “Black Angels” my story starts in the very beginning of mankind’s existence. An experimental “Eden” took place, as the Sirian Gods altered Ape-man into the Homo-Sapiens we are today. Here’s an introductory video I made. In conclusion, it’s nice to see Captain Pike again on Star Trek and I certainly love how the writers are going with Star Trek Discovery. IF you haven’t already and are a fan of Star Trek, check out Mission Log Pod, as they discuss each episode. If you enjoy Star Trek as much as I do, please join me on Twitter. I talk about all things Star Trek, my creative art pieces, plus sharing my science-fiction short stories. Join other Star Trek fans too, such as “23 year old Trekkie” , as she explores Star Trek topics on her Tuesday Star Trek featured, “TowelTalkTuesday”. Let’s get as many fans as we can together, talking about Star Trek. I hope you’ve enjoyed my article today and I will see you again. * Star Trek: First Contact plot starts in the 24th century when Captain Jean Luc Picard “disobeys orders and heads for Earth, where a single Borg Cube ship holds its own against a group of Starfleet vessels.” It’s then they continue its pursuit on the Borg only for them to disappear. “As the sphere disappears, Enterprise discovers Earth has been altered – it is now populated entirely by Borg. Realizing the Borg have used time travel to change the past, Enterprise follows the sphere through the vortex. In the beginning… SPOILERS ALERT ! Is it possible to create a soul ? Will humans become GOD-LIKE, trying to replicate, what our creator has already done ? Is there a creator ? What is the reason for having a SOUL ? Can HUMANS create better creations, then our GOD ? Will HUMANS mistreat REPLICANTS as slaves to do their dirty work ? What are the consequences of becoming GOD-LIKE ? As much as I enjoy Ridley Scott’s creation, “Blade Runner” it was shocking to hear, the book and movie are two completely different entities. Other then this factor, Ridley Scott was sure not to disappoint, when I first watch this amazing creation at our local theatre, (while living in Kelowna, BC). To further understand why this movie meant so much to me, you’ll have to know the circumstances. 1982 : Two years after the death of my child, Jenni, it was a time for soul searching, questioning the existence of any GOD. Emptiness throughout the years. However, we were grateful to welcome in our newborn arrival, ( it’s a girl!) Tianndra, on February 20, 1982. When the movie, “Blade Runner” came to the Box Office in June 25, 1982, the storyline captivated me. Again, the question riddle my mind, “Do we have a Soul ? To have a soul or not, is extremely relevant to me, because of Jenni’s legacy. Without a soul, our purpose in life would mean absolutely nothing. Our existence is nothing more then the next savage animal waiting it’s turn on the of evolutionary turntable, as humans experience the seventh massive extinction on earth ( this is why it’s so important to explore other planets and colonize, before it’s too late ). Since the dawn of life, we already had six deadly extinctions. Are we nothing more then an evolutionary existence until the next extinction wipes us out ? You see, I have to believe we humans have a soul. Back then, his dialogue brought tears to my eyes, remembering Jenni, close to my heart and soul. Needless to say, the original Blade Runner was a leading success. “REPLICANTS : Are Bioengineered Humans, designed by Tyrell Corporation for use OFF-WORLD. Their enhanced strength made them idea slave labour. After a series of violent rebellions, their manufacture became prohibited and TYRELL CORP went bankrupt. The collapse of ecosystems [ Blade Runner Black Out 2022* ] in the mid 2020’s led to the rise of industrialist NAIANDER WALLACE. whose mastery of synthetic farming avert famine. Wallace acquired the remains of the Tyrell Corp and created a new line of REPLICANTS who obey. Many OLDER MODEL REPLICANTS – NEXUS 8 with OPEN-ENDED LIFESPAN – survived. Blade Runner 2049 continued in strong relationship to the original, not missing a beat, including epic storyline of how the EYE can expose any REPLICANT. In the original, taking a close-up, inside look of the cornea (clear lens) and the tall-tell signs of the iris (functions like the diaphragm of a camera), it was quick to red-flag a replicant. With replicants assuming human form in every way except strengthen, biological warfare and extreme military tactical, it’s hard to pinpoint any replicant within a crowd. In Bladerunner 2049, Naiander Wallace ( aka, actor Jared Leto ), leading CEO of the now corporate giant produces controllable, docile replicants. To add even higher security, each replicant is easier to pick out now, because their eyes are embedded with a unique serial number. Curious, however, Naiander Wallace is blind. It’s not speculated why or how he became blind, just the fact he is blind. However, he has these cool mini-droids that see in any capacity he wants. We’re clear, Naiander is indeed the protagonist with a heavy chip on his shoulder. Perfection is everything to him. Anything of lessor quality is quickly disposed of. Again, the writer (Hampton Fancher) cleverly leads us on with the EYE concept. Needless to say, I’m sure Hampton Fancher and Michael Green (also, both screenwriters) had a blast telling this intriguing mysterious story. Remember Deckard (played by iconic actor Harrison Ford) ? In the original Blade Runner, it was loosely assumed, Deckard could possibly be a replicant himself, but unaware of it. Unfortunately, in Blade Runner 2049, we still aren’t sure. However, leading on the audience, is without a doubt, a sweet morsel for the next Blade Runner 2060 ? To update, Deckard falls in love with a female replicant, named Rachael, who doesn’t realize she’s a replicant at all (thanks to creator, Dr Eldon Tyrell). Deckard and Rachael run away and along their journey, they’re able to have a child (another gift by Dr Tyrell). This is another reason we think Deckard could also be a replicant and not know it. Maybe, before the doctor made Rachael, it’s quite possible, he may of made a male replicant, named Deckard. Writer Hampton Fancher has left it open for viewers to make their own assumptions ; which is genius! Now comes along Blade Runner 2049, with a modern updated replicant, Blade Runner K (played by Canadian actor Ryan Gosling) ; also named Joe by his sweet holographic girlfriend Joi, who believed K could be a real boy, due to his real memory implant ( most replicants were given fake memory implants). However, we know this couldn’t be true ; but Joe did hope. In the beginning of Blade Runner 2049, K finds skeleton remains of Rachael, who they realize died of a C -Section during birth. Immediately, it’s clear, there must be a replicant child (or possibly a human-crossed replicant ?). K’s mission (ordered by human Lt. Joshi) is to seek out and destroy the replicant child before a war breaks out between the replicants and humans. As well, CEO Naiander is determined to find the child before the humans, because he wants to produce an infinite army of replicants, to rule the worlds of the universe. Until now, his replicants aren’t prefect. His thirst to be a GOD, build an army of perfectly designed replicants, that could give birth, is his ultimate dream. Talk about a control freak – dictatorship at its highest calling. If LUV ( a Nexus-9 replicant designed by Niander ) has anything to do with it, she wants to impress her boss, no matter the cost. After all, Niander entrusted her as his right-hand No 1 (if you will ), to give her very own name LUV, instead of a serial number, like K ( KD6-3.7 ). The outcome could go either way. LUV is indeed, the most calculated killer of all them all. Her determination is relentless ! Blade Runner 2049 is a mastery of screenwriting, leading viewers to more questions then answers. As a science-fiction writer, I adore open-ended questions throughout the storyline, with cleverly placed plot coupons**, adding to the mystery. Blade Runner and Blade Runner 2049 are both great movies and, (if you haven’t seen either one) a must to your next science-fiction thriller list. Watching Star Wars again. Most specifically, Episode II “ Attack of the Clones” . It a wonder that I had previously miss valuable information, since I’ve watched this movie 3X now. Somehow, my mind skipped the part about the “Midi-Chlorians” – Go Figure ! Passing through, I scanned and rescanned the part of the Midi-Chlorians. Apparently, LIFE and the FORCE wouldn’t exist, without the Midi-Chlorians , again – Go Figure ! Immediately I was intrigued by the science and most particularly, the biology of how they exist within us ( as in Living Hosts). Interesting, Midi-chlorians are these microscopic intelligent life forms that originate from the origin of Life and centre of the Spiritual Cosmic Force. Throughout billions of years of countless universes and planets forming, to living organisms residing on M- Class Planets, the Midi-Chlorians reside within the cells of all living organisms, as a host. It’s here where select gifted intelligent beings are allowed to tap into the COSMIC FORCE, using the Midi-Chlorians organisms as a means of communication (aka The Force speaks through the Midi-Chlorians). These gifted beings, of course, are the JEDI. Each Jedi learns how to use the FORCE, creating unimaginable POWERS. Unfortunately, each Jedi can take the path for good or evil (aka the Dark Force). As well, most trained Jedis can feel the FORCE from other potential beings. Each soul can trace (gauging) their force by a simple BLOOD TEST. Microscopically, a trained JEDI microbiologist can estimate the number of Midi-Chlorians within a host. The higher the count of Midi-Chlorians, the stronger the FORCE within each subject. It’s been said Anakin Skywalker had a count of over 20,000 Midi-Chlorians, surpassing YODA himself. Unfortunately, Anakin Skywalker took the path of the Darkside, becoming the troubled DARTH VADER. What I absorbed from all of the above (even though it’s just a storyline) , is the possibility, the FORCE we sometimes hear, could easily be confused as a GOD speaking to us. To add fuel to the fire, just maybe our soul is the essence of the Midi-Chlorians organisms leaving our host bodies, transforming itself back into the SPIRITUAL COSMIC FORCE. As stated, “The energy of the FORCE is the centre, intertwining the SPIRITUAL COSMIC FORCE with the LIVING FORCE.” With this said, you can then argue, over 124,000 Prophets in our history were possibly gifted JEDIS, (including Jesus) tapping into the COSMIC FORCE, we know as GOD. It’s no wonder we can’t ever communicate with the dead. Their transformation is pure energy, within the Cosmic Force of Life and Death. I know, I know…it all sounds crazy! BUT – maybe we should quiet our mind and listen closer to what THE FORCE is saying to us. Living amongst you is indeed challenging, due to your limited intellect. WE have used so many applications to communicate. However, most of YOU are oblivious to our existence. Even so, a select few have noticed us throughout your busy lives, since the dawn of mankind. WE have many names, but the five that have stuck throughout your history, are referred to as, the Almighty GOD, the GODS of the HEAVENS, Ancient Alien Ancestors, The Realm of Spirits and BLACK ANGELS. Our species have lived beside you on your daily journey of life, nurturing our creation into becoming a better HUMAN BEING. Locked in time, the genetic pool of geniuses have emerged from century to century, revealing great minds, such as Michelangelo, Galileo, Leonardo Da Vinci, Albert Einstein and Stephen Hawking. All were part of an exciting journey of inventions, along with opening the mysterious cosmic universes, intertwining time and space, itself. But with all your short term advancements, human beings aren’t ready to meet us directly, simply because you haven’t earned your journey. Before mankind had a foothold on earth, our species found you as you were, savage primates beginning your evolutionary journey. It was then we decided to cross our genetics with yours, speeding up the evolutionary timeline. In hindsight, our ancestors should have left you alone. We apologize for our ancestors for not correcting this. We may have produced a hybrid, (known as HOMO-SAPIENS) believing your species would become wiser. Unfortunately our geneticist couldn’t remove the savage instincts you inherited, in order for your survival on this planet. The savagery of your species is overwhelming fuelled by hate and fear. Sometimes we sent a prophet, in hopes to better your civilization through peace and love ; but each one, you desperately feared. Throughout your existence our ancestors have sent 2500 prophets, thinking one of the prophets would calm your savage instincts. If only human beings could be more passionate, loving towards each other, instead of using hatred and greed. Material things and selfishness isn’t the path to righteousness or forgiveness. Earth and this dimensional universe is nothing more then a testing ground, preparing your soul for its journey into the void of collectiveness, where each soul will join together in complete Nirvana. After millions of ions, our species were taught the existence of true freedom…by just letting go. WE understand the concept is new for your kind, but it’s our hope you’ll see the light before it’s destroyed forever. All living things get one chance of life. It’s up to us see and understand it, before evil grabs you into the realm of darkness, plaguing your soul with complete blackness and despair. WE say to you…don’t fear what you can’t understand. Don’t take advantage of the sick and weak. Bring your species closer to Nirvana by accepting the good in everyone. But don’t be fooled by the wolf waiting at your door, disguised as sheep. If they ask you for money or material things, they’re indeed the wolf pack waiting to pounce on YOU. To them, your weakness is love and forgiveness. The cruel are too far gone to understand the value of the treasures lying within your soul. It’s true. Your species still rely on currency in order to receive the basics of survival. To operate in large congregations, it requires an operating cost, in order to feed, cloth and house you. If you can be a nonprofit organization without feeding directors or CEO’s with large sums of cash, then it’s possible to live together comfortably. WE aren’t talking about manmade religions or spiritual schemes, ready to pounce on your graciousness. NO. WE are talking about becoming a self sufficient entity fuelled by love for each other. It’s a cruel unforgiving society your species have created over time, so be vigilant. Follow the laws of the lands in respect for each country, but show unconditional love within your community. Just realize, there’s no GOD whose a person in your fictional heavens. The only GOD is the unity of every living soul since the dawn of infinity, intertwined with time and space, itself. We are all together in this journey of life and death. It’s our only hope you realize the importance of your soul, as well as giving respect to ALL living things, be it on earth or across the universes. In life we all must survive to enrich our biological shells, but our purpose is getting our soul ready for the next journey. We taught the ancient Egyptians well, but still they believed in us as GODS. If you go through life relying on the riches from the backs of the poor and weak, your soul will indeed turn to the blackness of evil, where there’s no return. There’s only one Nirvana, with no room for evil. YOU only have one chance to enrich your soul with goodness fuelled by love, otherwise your soul will evaporate into nothingness, known as the true death of blackness. You can’t rely on having all your eggs in one basket. It’s deemed for catastrophic failure. Throughout billions of years on earth, the ‘Permian Extinction’ is a good example of destroying 90% of life, along with the set back for the prehistoric Homo erectus one million years ago. As a matter of fact there’s been several extinction events throughout the history of life on earth, with one as close as 71,500 years ago. Fortune for your species we started evolutionary cross genetics 101,000 years, keeping 2956 collective specimens safe from harm. As scientists Stephen Hawking has speculated, human beings have…maybe 100 years to populate nearby planets, in order to avoid complete extinction of the human race. After that, earth will begin into its next phase of recreating it’s new evolutionary species. You’re the only species we know, that have a fighting chance to fool the natural order of things. It’s up to you to make good use of your intelligence, before it’s too late. As said,”Our species live close to you, without you realizing our existence. “ You haven’t evolved, so WE aren’t ready to reveal the secrets of the cosmic universes…just yet. All we can tell you, WE live within the Dark Universe of endless time. Your scientists have theorized the possible existence of DARK MATTER along with DARK ENERGY. You won’t believe how close they are to the truth. Some have even speculated a DARK MATTER HALO within your own Milky Way Galaxy. WE are pleased with your theories. You’re so close to opening the pandora box, but will you be ready to grasp its secrets ? As it stands, WE think not. WE have observed your existence since our ancestors came to earth, drastically changing your evolutionary timeline. It’s now, our scientists have realized their dreadful mistake. Our meddling in your biological makeup, may have been a catastrophic error. In hindsight, speeding up your genetic timetable and crossing our genetics wasn’t really in your best interest. Our ancestors thought, instead of complete extinction, while earths rotational clock decided to reboot the existence of life from scratch again, we took over changing mankind forever. As I write the chronological events of your timeline, WE are still here lurking in the background, edging for the betterment of mankind, teaching and preparing you, so your souls journey may experience NIRVANA. Soon, we’ll be sending another prophet suited for your timeline. Be ready to accept this ONE as its spiritual aurora will capture your soul, giving YOU a glowing light of unconditional LOVE. Just remember, the wolf is waiting for you too. Look through the eyes of the wolf and see the darkness he or she prevails. Be ready. Because our next prophet will have powers of unbelievable wisdom, nurturing YOU with love and forgiveness. Money will only be a means of supporting the community, without any profit, whatsoever. Material things will mean absolutely nothing, in the glowing eyes of the prophet. The only goals for the prophet is to enrich your souls for the next journey and give YOU internal PEACE. Your biological bodies will continue to live outs its life as before, but this time, the weight of your soul will be lifted from your old self into a new enlightenment. There’s NO god or religion waiting to steal you from everything you worked so hard for. Religion is only manmade, as well, GOD isn’t a person living aimlessly in a heaven with golden gates, surrounded by angels envious of human beings. This is nothing more then a fairytale evolved by manmade religions and our ancestors. WE apologize for our ancestors mistakes and bid YOU on your journey of PEACE and WELL-BEING. May we all have peace, forgiveness and love ❤️ IF YOU enjoyed my story please support my efforts HERE – thank you.